Our KWIKtrak X-Y Semi permanent rack is a robust free standing system with the capacity to handle everything including your bariatric lifting tasks. Suitable for use with fixed ceiling lifts or one of our portable lifts. Our semi-permanent rack is the ideal solution for temporary yet portable heavy duty lifting. 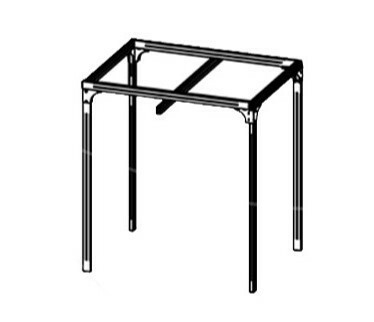 The semi permanent rack is available in 2 post or 4 post (X-Y) configuration. Depending on the choice of trak and configuration, it can offer a lifting capacity of up to 1000 lbs. (455 kg).